Scrap yard eats 1977 Buick. 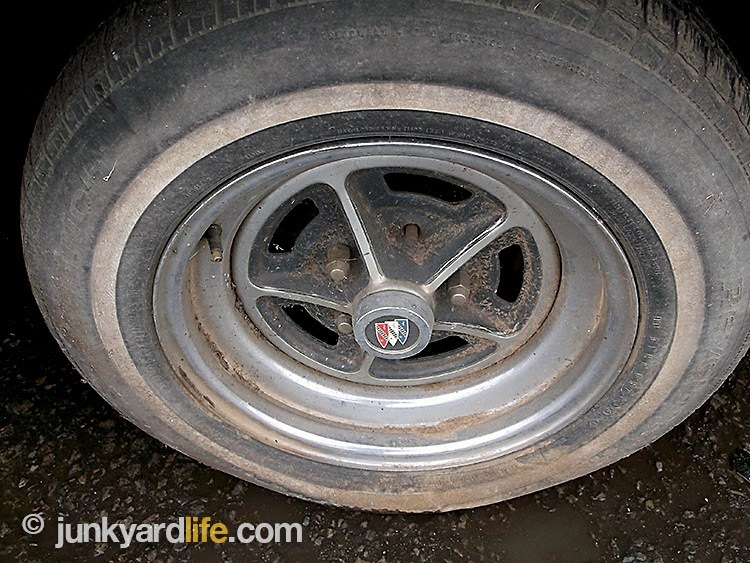 If you are a Buick fan, you usually arrived there because of their hook in the automotive industry. Luxury or performance, and often times known for both. Buick has been referred to as “The Gentleman’s Muscle Car”. When you seek out Buick knowledge, a wealth of stories and photos can be found on the stealthy Buick GS or the bright GSX. Maybe you prefer the Darth Vader appeal of the Grand National? The Riviera has even carved out a bit of recognition because of their luxury class appeal with the punch of a muscle car. But I’m not talking about any of those, now. I’m talking about the little-to-no muscle, late 1970s era, fan club that may just consist of Jody and myself. We are the beleaguered fans a 1977 Buick Regal that is a soon-to-be scrap yard victim. An abused child to be sure. 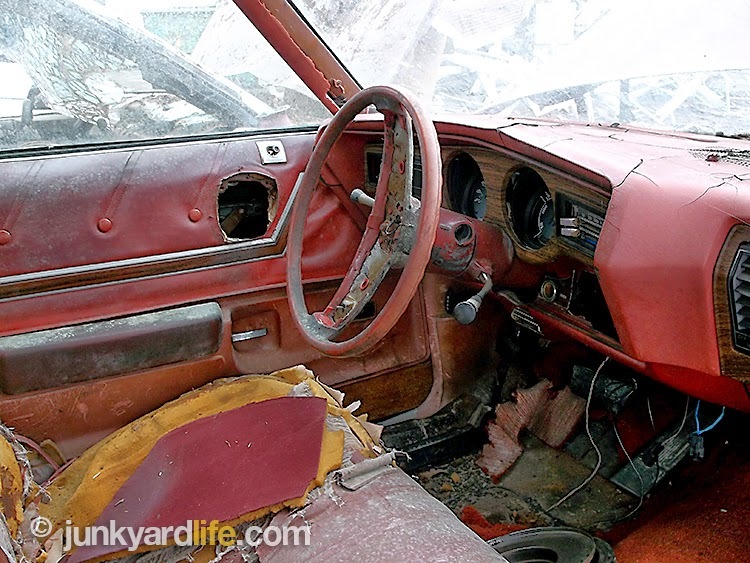 No cloth bucket seats, no power windows or door locks. This Regal for sure rolled out with factory air (long gone) and I am pretty sure it had a tilt wheel. It saddens us that these era cars seem to find their way to the scales. 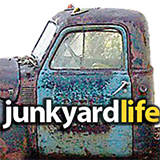 Junkyard Life cannot be the only ones guilty of loving these cars. We need to find a way to at least give someone the opportunity to rescue these situations and prevent them from become shopping buggies or beer cans. 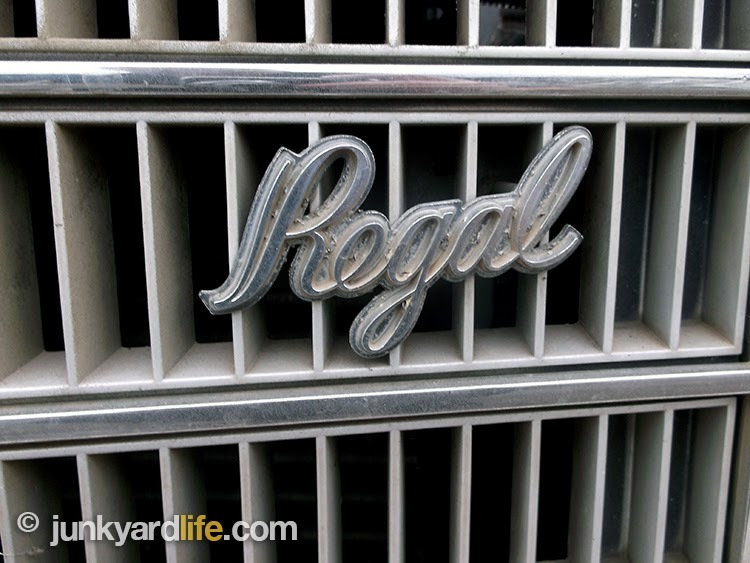 Introduced to the car buying public in 1973, the very word “Regal” refers to royalty. The Mad Men of Madison Avenue were digging deep for a hot name in the dark era for the automotive industry. If you wanted a sporty version of the Century, look to the Regal. 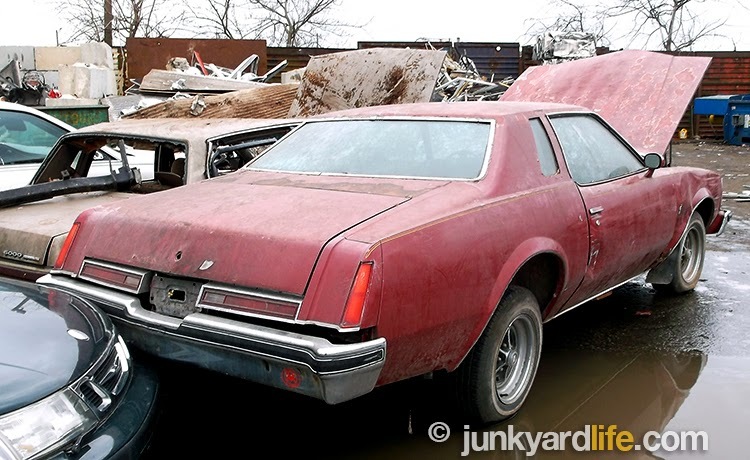 The counterparts across the street were Chevrolet’s Monte Carlo and Pontiac’s Grand Prix. By 1977, the last year for the medium size Colonnade body style, conformity reigned. Being somewhat lost in a sea of comparable models, nothing (much) was super grand or regal. 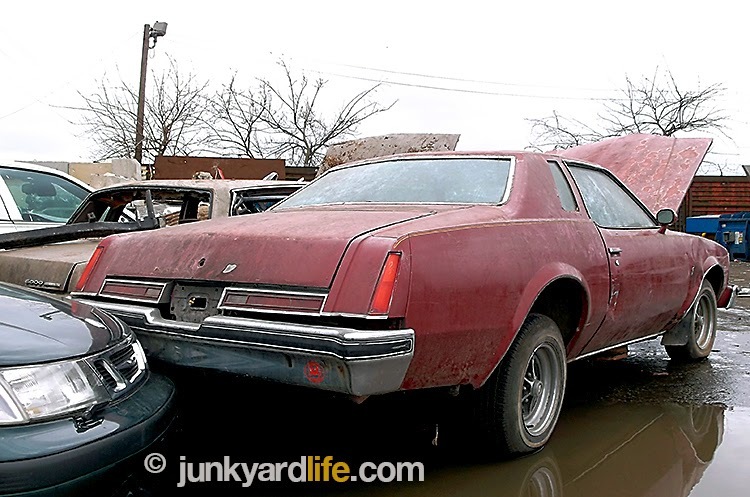 No one ever thought of this 1977 Buick Regal to be story worthy, but it is to us. Someone once again decided that a few hundred dollars and no more Buick sounded better than five hundred dollars (which it said on the windshield) and having a Buick. I hate the scrap place. This is what I saw as I passed by recently. A 1977 Firethorn Red Buick Regal with all four Buick Road wheels (or whatever name they became by 1977). This Regal had an “H” in the V.I.N designating the engine code. Two sources indicated varying opinions. One claimed “H” was a 350 C.I.D, but was unclear which engine. GM was swapping Buick, Olds, Pontiac and Chevy power plants around the board like Fleetwood Mac. 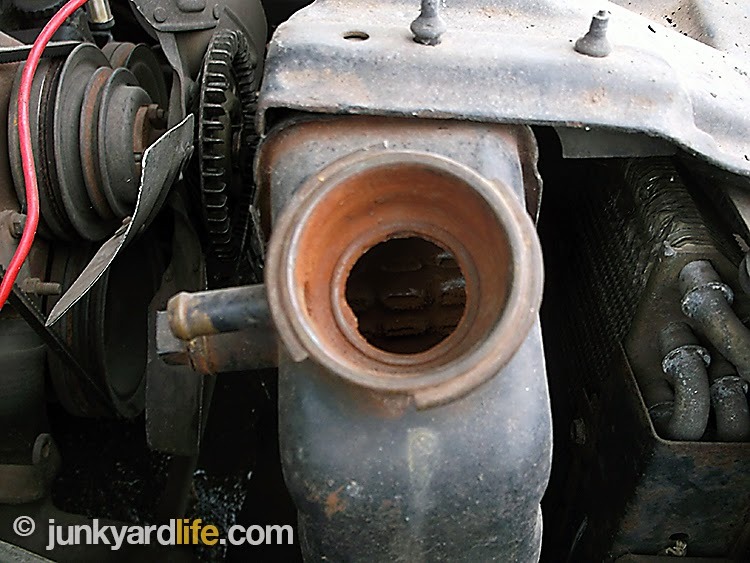 All makes had their own 350-V8 that could have been installed here. The other source said “H” wasn’t a V8 at all in 1977. It was listed as a bullet-proof Buick 231-cubic-inch V6. 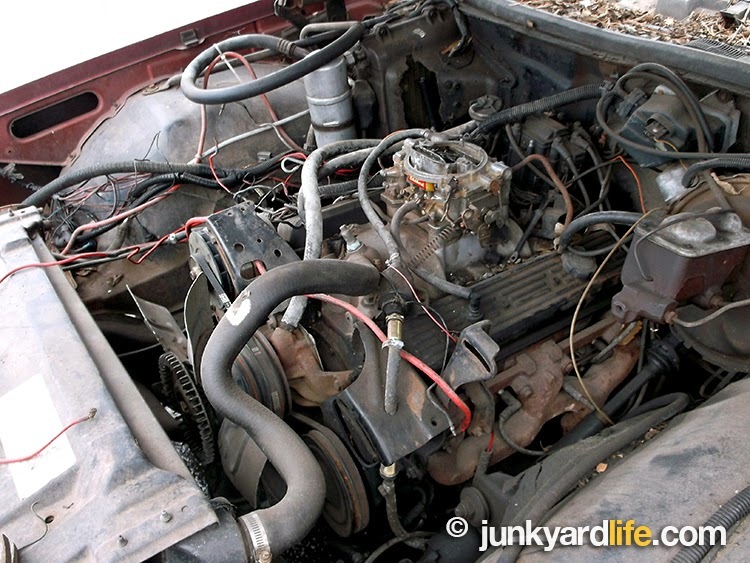 My guess is either engine was long gone and the happy swapper decided on a 350, of Chevy persuasion, that was completely intact including an aluminum intake and an Edelbrock (Carter style) carb. The engine bay was so complete, that the only thing that didn’t raise its hand in roll call was the A/C compressor. Outside that the paint code hinted to a beautiful color Buick called “Firethorn”, otherwise known as paint code #36 going down the assembly line. 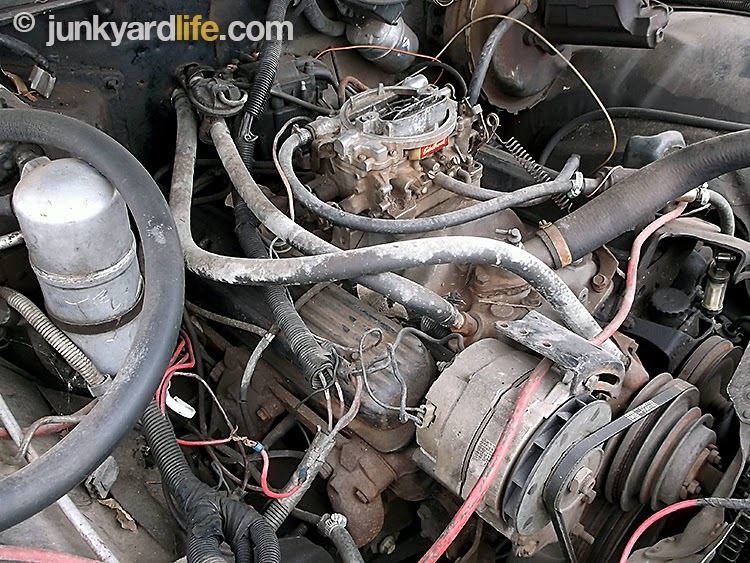 Along with the aforementioned Carter-style Edelbrock carb, the one who abandoned the Buick also gave up a heavy duty 3-row radiator. Someone needs this. Junkyard Life Note: My family had two of these Colonnade Buicks over the years. Both were this same color - Firethorn Red. My Dad bought one new in 1976 and loved it. My cousin, Mike, bought one around 1977. He almost bought a 1977 Trans Am instead, but the Pontiac was leaking something underneath, so Mike went with the Buick. We all loved that car. Happy Hunting! Wait, strike that – Sad Hunting, and the bearer of bad news. Complete 1977 Buick Regal grill and emblem will soon meet the crusher. indicate it was not always intended for it to end it all at the recycler. This Buick just fell into the wrong hands. We’ve patched together worse project cars and driven them home. Friends don’t let friends scrap complete chrome-bumpered cars. 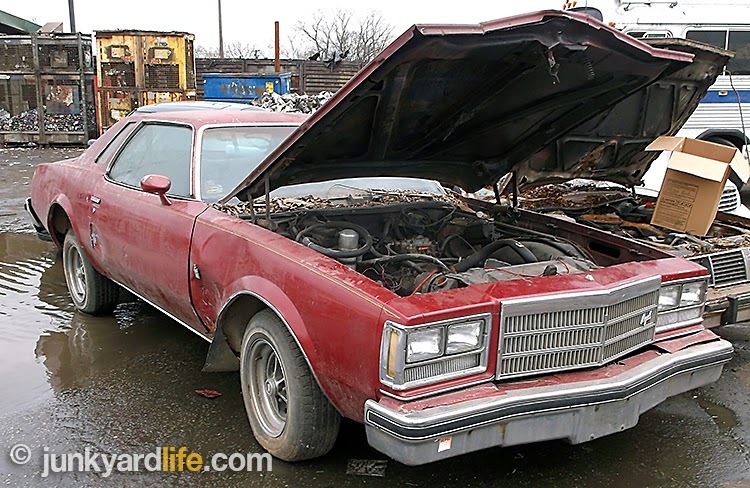 This 1977 Buick Regal deserved a better fate. bottles here? Surely more policing would be needed, or added regulations on manufacturers to ensure origin of purchase, or some other governmental policy that would burden true progress and lead to an eventual lowering of our standard of living.